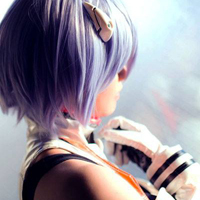 This summer I was busy writing a new doujinshi of Kuroko no basket. I was so stressed out with the deadline, but finally I made it….however, omg, I missed the deadline for the civil service examination…tell me that I’m stupid, but that you think I did the right thing!! Sorry I didn’t update this blog for a while. 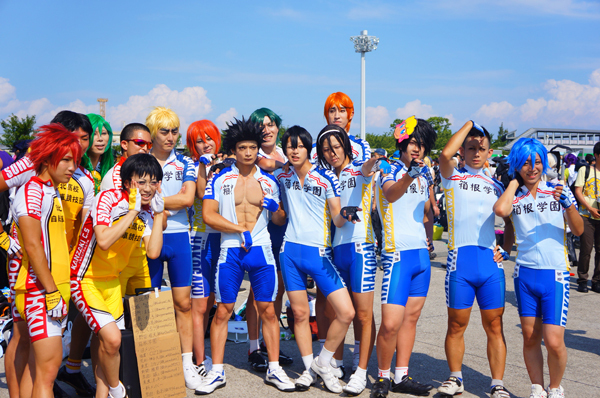 I would love to post quick reports about the three biggest anime events held during summer in Japan! 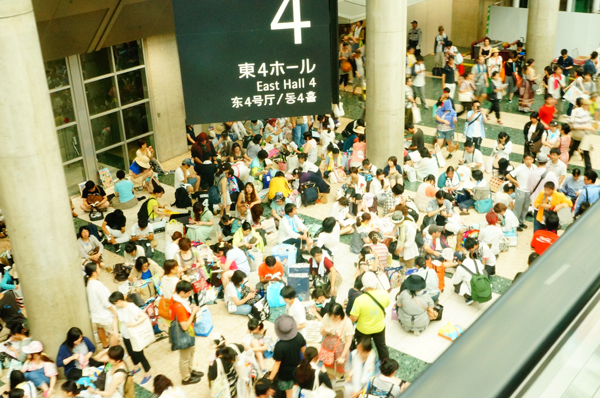 It’s so obvious for frequent visitors to Comiket, that Comiket is composed of 2 different sections. 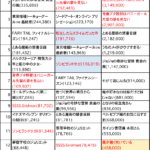 One is Doujin area, where doujinshi are sold, and the other is the industry area, where official goods are sold. 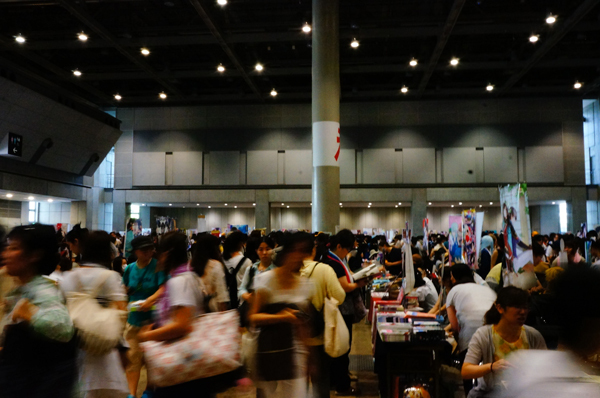 Doujinshi area→Different books from different genres are sold on each 3 days. Circles, artists, what are sold are totally replaced. You need to check what day the genre/ titles you like is assigned. Industry booth→The official goods sold at the event venue are basically so-called “limited edition.” I know the word “limited” sounds well, but if you just want to buy general goods, you can just go to Ikebukuro or Akihabara without waiting in a long line at comiket. On all 3 days, companies basically sell the same line of products. However, how many stocks they have fluctuates depending on the day. Here is an example of the company which sells Toukenranbu goods. 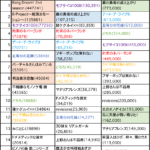 They do sell the same products on all days, however, they allocate most of the stocks on the first day, which is the day for Toukenranbu doujinshi, and sell fewer number of products on other 2 days. I gave up buying one on the first day, thinking that on the other days there would be fewer Toukenranbu fans coming. It’ not only the case for Toukenranbu. The similar things happen for almost all genres at industry booth. You should not take this lightly. Keep this in mind. Most of the goods sold at industry booth at comiket is “limited edition”. As a fan, I can understand this phrase “limited” is attractive. But You have to waste your precious time at comiket to get one. You might be able to get similar products at other place. Please think about how to spend your time wisely well, and decide what to do! Photo of doujinshi area. Industry area is as crowded as this. I usually only go to Doujinshi area, not an industry booth. This year it was relatively cooler than regular year in the morning, so waiting in line before the venue was open was not as hard as I expected. 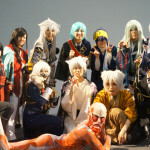 The number of foreign participants is increasing year by year. Especially, I can meet many young people who speak Chinese or Korean. 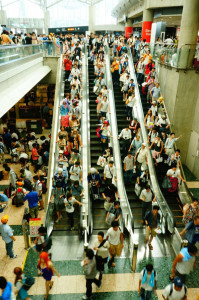 There are also many westerners, though the number is small compared with people from other Asian countries. 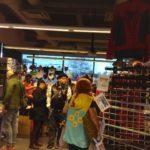 Particularly, area for men, area for cosplay ROM, area for Toukenranbu, and area for CD (original music) were super crowded. I though I couldn’t breathe there…. 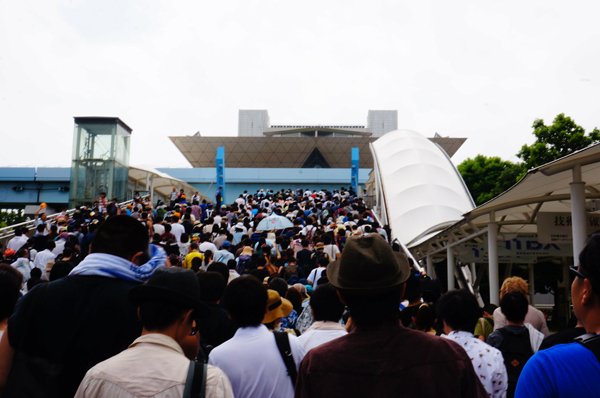 Escalator of comiket is also breath-taking…so many people! 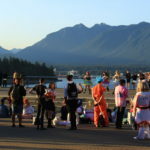 Comic market is the event where about 60,0000 anime fans gather at the same place. Whenever I go to comiket, it brings home to me how deep human’s desire and love are. Ever since the second year of my junior high school, I go to comiket without fail except the days I was out of Japan to study abroad. It is not merely because there are stuff I want to buy, but rather I can receive magnificent energy from that place. Even if I am depressed or struggling, I can get a feeling and confidence that people can be free after all and we can be true to ourselves. All the participants are sharing fellow feeling and sense of belongings, or we could call it “unsavory ties”. Comiket is the place full of organic and humane love. 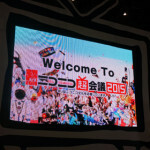 I think only the word “Our own Comiket” can represent this unique feeling towards Comiket. One thing you should be careful. I see many people who brings a small suit case to comiket. I myself was one of them before. 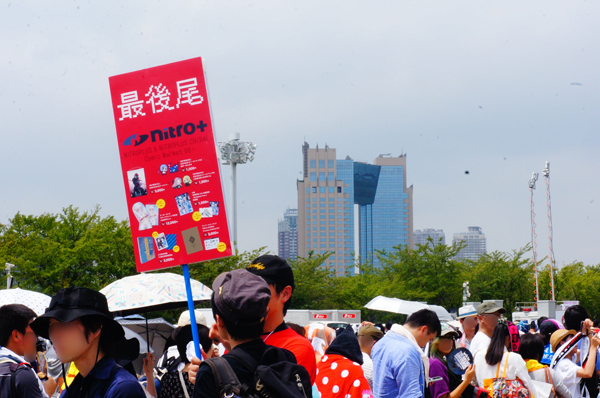 At comiket, you will buy many stuff. You can also use a suitcase as an instant chair. Comiekt is really crowded. Some areas are even more crowded than the notorious Japanese packed train during rush hours. If you drag a suitcase in such place, it’s likely to be in the way of others or what’s worse, run over other’s foot. Comiket is a wonderful event, so I don’t want you have an uncomfortable feeling there just because of a suitcase. 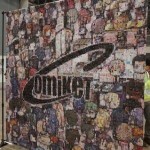 Comiket has a cloak. It’s open from 10:00 to 16:00, and the fee is 500 yen for one package. The price doesn’t change depending on how large the package is. By the way, here is the best doujinshi of this summer for me. Usually people regard doujinshi as fanzine of anime/ manga, but there are also other kind of doujinshi… such as the ones about food recipe, the ones about travel. And this doujinshi I bought was about statistical analysis of the condition of popular BL works!!! 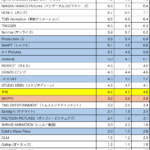 In Japan, there is a ranking of BL (Boys Love) manga. The analysis is sophisticatedly done.